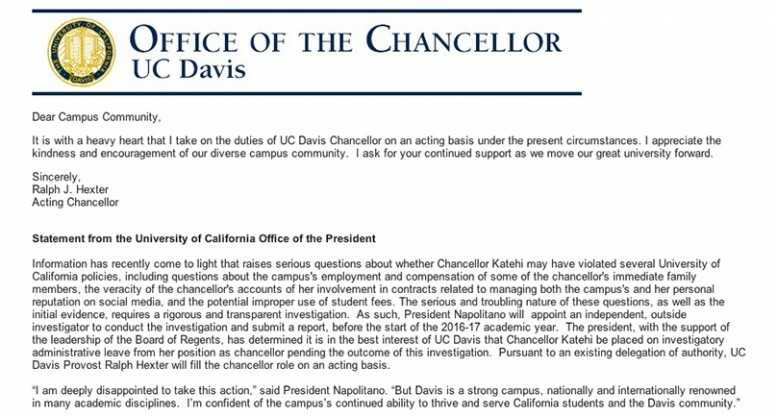 The University of California Davis (UCD) chancellor was placed on investigatory administrative leave following allegations that she violated several University of California policies, including questionable compensation of some of her immediate family members, according to a statement from the office of the University of California president. Linda Katehi has served as UCD’s chancellor since 2009 and UCD provost Ralph Hexter will fill in as acting chancellor. University of California president Janet Napolitano is looking to appoint an outside investigator and submit a report before the start of the next academic year. “Napolitano didn’t make this decision because she wanted to, she made it because the students, workers and community pushed her to,” Hampton said. Since 2010, 726 ARC students have transferred to UCD. Shiavon Chatman and Timothy Lipuma contributed to the report. 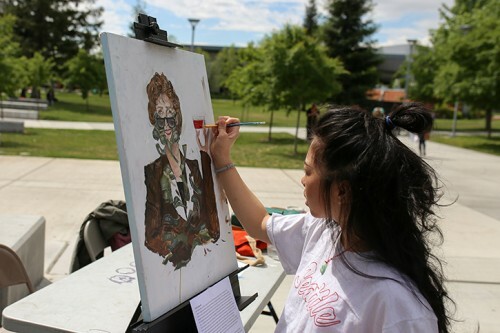 Be the first to comment on "UC Davis chancellor placed on administrative leave"